While some factors related to hair loss are inevitable, others can be changed and impact hair health for the better, including the diet we choose to eat. So take a bite out of these nutrients healthy hair! 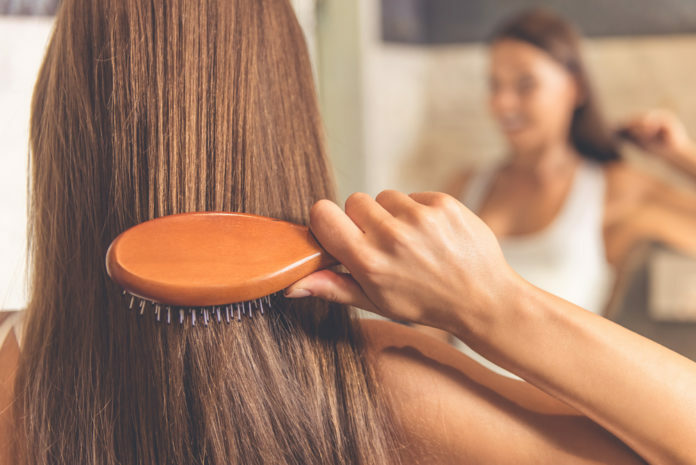 Hair loss can be can be caused by a number of factors, including aging, genetics, smoking, autoimmune disorders, illnesses, medications, and nutritional deficiencies. While some factors are inevitable, others can be changed and impact hair health for the better, including the diet we choose to eat. So take a bite out of these nutrients for healthy hair! All cells need vitamin A to grow, including hair, which is claimed to be the fastest growing tissue in the human body only second to bone marrow. Furthermore, vitamin A affects development and differentiation of keratin, which is the tough protein giving hair its structure. While vitamin A is a viable nutrient for healthy hair, it is likewise worthy of mentioning too much of it can actually result to hair loss. Vitamin C also acts as a vitamin for hair health relative to its antioxidant and collagen-building properties. Acting as an antioxidant, vitamin C helps to reduce cellular damage that may impact hair growth. 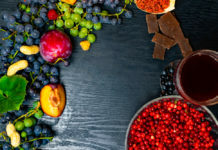 Vitamin C also plays a role in collagen in production, a protein that helps maintain the structure of bone, tendon, skin, cartilage and all other connective tissue. According to the Journal of Investigative Dermatology, a lack of collagen may delay hair cycling and growth. While vitamin D is mostly known for its partnering role in bone health with calcium, it also helps stimulate hair follicles. A disruption in the hair follicle cycle, which may be caused by inadequate vitamin D intake, can stunt hair growth and lead to hair loss. There is additional evidence showing deficiency or insufficiency of vitamin D is linked to patients with alopecia areata, a condition in which hair falls out in patches. Beef, egg yolks, cheese, salmon, mackerel, tuna, mushrooms, and cod liver oil along with vitamin D fortified products such as milk, yogurt, and orange juice. Vitamin E is mostly known for its powerful antioxidants properties protect from cellular damage and oxidative stress, which has been linked to hair loss. There is also data showing vitamin E can defend against such stress in the scalp and increase hair numbers in individuals suffering from hair loss. Biotin is one of the B vitamins and a commonly sought out nutrient for healthy hair. However, most of its impact is in the presence of a biotin deficiency, as hair loss (or alopecia) is a common sign. Biotin has been suggested to promote hair growth, especially in conjunction with zinc. From protein sources to fruits, the sources of biotin are broad, thus making biotin deficiency rare. Although biotin is generally considered stable in most conditions, it can be destroyed by heat or under oxidizing conditions (or the presence of oxygen). In addition to food sources, bacteria within the intestine are shown to synthesize the vitamin. Liver, mushrooms, peanuts, almonds, yeast, nonfat milk and yogurt, meat, soy protein, egg yolk, banana, grapefruit, tomato, watermelon, strawberries, and most vegetables. Although biotin is generally considered stable in most conditions, it can be destroyed by heat or under oxidizing conditions (or the presence of oxygen). In addition to food sources, bacteria within the intestine are shown to synthesize the vitamin. Zinc virtually established in all parts of the body, primarily in the skeletal muscles and bones, though also found in the kidneys, pancreas, retina, teeth, hair, blood cells, and other body organs. Often unnoticed zinc deficiency symptoms include hair loss. Iron is a mineral that plays an imperative for oxygenating the blood. Iron deficiency anemia is when the body cannot use iron properly and intake is low. While more common symptoms of iron deficiency anemia include fatigue, chest pain, brittle nails, frequent headaches, and dizziness, some experience hair loss, especially in women. However, low iron and iron deficiency anemia is certainly not a condition that should be self-diagnosed, as supplementing with iron tablets without any sort of guidance can be extremely dangerous. So if you notice or experience any of the following signs or symptoms, seeing a healthcare professional is advised. You can likewise help deter the risk of a deficiency of the mineral with iron-rich foods, consuming foods rich in vitamin C can also increase the absorption of iron. Red meat, chicken, fish, leafy green vegetables, legumes, and cereals and other products fortified with iron. Probiotics are live bacteria cultures that supports gut health by controlling the growth of harmful bacteria. There is growing evidence they may be beneficial in producing radiant hair and skin. Yogurt, sauerkraut, sourdough bread, soft cheeses, and other foods that undergo fermentation. Common probiotics to look for on ingredient labels are lactobacillus and bifidobacteria. Omega-3s are mostly known for their link to heart health, though they can also support a healthy scalp. 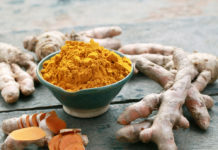 When consumed regularly, they may help prevent inflammation, hair loss, scalp dryness, in which a healthy scalp is needed for thick, plush hair. Essential fatty acids also regulate nearly every process in your body, including keratin production. In addition to sculpting strong muscle, protein is a necessary nutrient for healthy hair. Protein is a building block for keratin and hair follicles and inadequate intake my result to hair loss or dryness. Lysine and proline, two amino acids found in protein, also help to promote collagen synthesis.